MEDIARE is a Brazilian organization, specialized in the practice and education of dialogue processes. As part of our expertise in the field, we offer a range of services concerning administration, prevention, evaluation and management of conflict; as well as, training programs on non-adversarial dispute resolution methods and on construction of customized consensus and mutual benefit-based solutions. 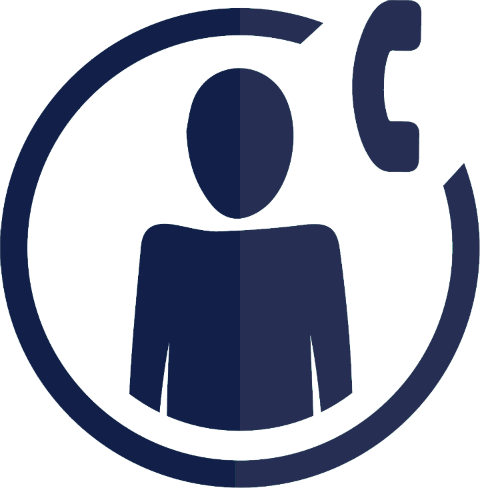 The MEDIARE System brings together a multidisciplinary workforce of dispute resolution experts, with different professional backgrounds and are dedicated to mediation development regarding a variety of themes, involving both individuals and public or private entities. To conduct and develop education programs regarding dialogue and decision-making processes guided by a non-adversarial dispute resolution methods, by considering technical expertise, ethics and diligence, serving individuals both in public or private aspects of society. We set to achieve recognition as a high-standard organization regarding not only the conduction of dialogic and consensual dispute management procedures but also the promotion of education programs in this area, by being able to approach various matters with our multidisciplinary workforce of specialists, dedicated to develop tailored-made solutions and committed to updating themselves professionally by pursuing continuing education. After a few years of existence, we conducted a survey among our students, teachers and partners on the values they saw as being ​​practiced by MEDIARE: Quality, accountability, responsiveness, dialogue, compromise, engagement, mutual benefit, listening, interaction and ethical care ​​were mentioned with enthusiasm. The MEDIARE Institute was founded in 1997 as the first organization to start a Mediation training program in Brazil. As a result, we were able to form a multidisciplinary team of mediators and experts composed by highly qualified professionals, form different work segments and used to operate in decision-making processes when facing different kinds of conflicts. The practical experience with mediation as well as the dedication towards researching non-adversarial methods of decision-making processes has broadened the range of possible features to be offered in the field. Today, MEDIARE uses the Multi-door courthouse system of non-adversarial methods on dispute resolution and dialogue processes, which includes, in addition to Mediation, Dialogues Facilitation, Evaluative Technical Consultancy, Consensus-Building, Advisory Council on Negotiation and tailor-made dialogue processes design. As a reference center regarding the dispute resolution field and dialogue tools training, we integrate a network of both, national and international institutions that devote their work to dispute resolution instruments, with which we have established partnerships. MEDIARE comprises the National Council for Mediation and Arbitration’s founding board, having participated in the composition of its Code of Ethics as well as of the Model Regulations for the practice of mediation in Brazil. Our Mediator’s team operates in a variety of fields, such as: Business, Family Companies, Family and Succession, Civil, Intellectual Property, Information Technology, Health, School, Public politics, Socio-environmental, Collaborative practices and research. We attend private and public scenes in different states of Brazil, delivering lectures, seminars, courses, workshops, consultancy, supervisions and training programs regarding the dispute resolution field. Cooperation Agreements arranged with public institutions such as the Rio de Janeiro’s State Courte, Public Defender’s Office and Prosecutor’s Office, made possible for us to develop the practical segment of our Mediation-training course, while providing these institutions, free mediation services. We also support the Brazilian Collaborative Practices Institute training programs, with which we have established partnership ever since it was created. Responsible for MEDIARE´s teaching department. Director of MEDIARE Chamber for dispute resolutions. MSc in Conflict Mediation. Postgraduate in Sociology and Management. Accredited Mediator of the Center for Effective Dispute Resolution – CEDR. Mediator of the “Instituto de Formação e Certificação e Formação de Mediadores Lusófonos” i.e. the “Portuguese-Speaking Mediators’ Training and Accreditation –Institute – ICFML and IMI – International Mediation Institute; ICFML/ International Mediation Institute – IMI. Consultant of Conflict Mediation Sector for the World Bank’s Latin America. Member of the International Center for ADR of the International Chamber of Commerce (ICC-Brazil), as well as of the Brazilian Arbitrage Committee Study Group on Corporative Mediation. 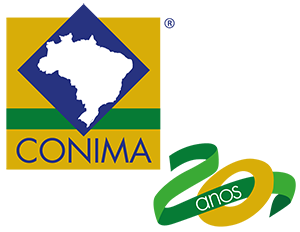 Mediation Director on CONIMA – National Council of the Institutions of Mediation and Arbitration. Senior Judicial Mediator in Rio de Janeiro State Court. Author of the book “Mediation Tool Box”. Co-Organizer of “Conflicts Mediation: for beginners, practitioners and teachers”.